Love this Florea 17cm Bread & Butter Plate design, that is part of a mix and match collection Florea Filegree, Florea Floris, and Florea Folia and Florea. Florea has the most delightful array of pastel coloured flowers and butterflies, bringing the fusion of the garden and summer into our home. 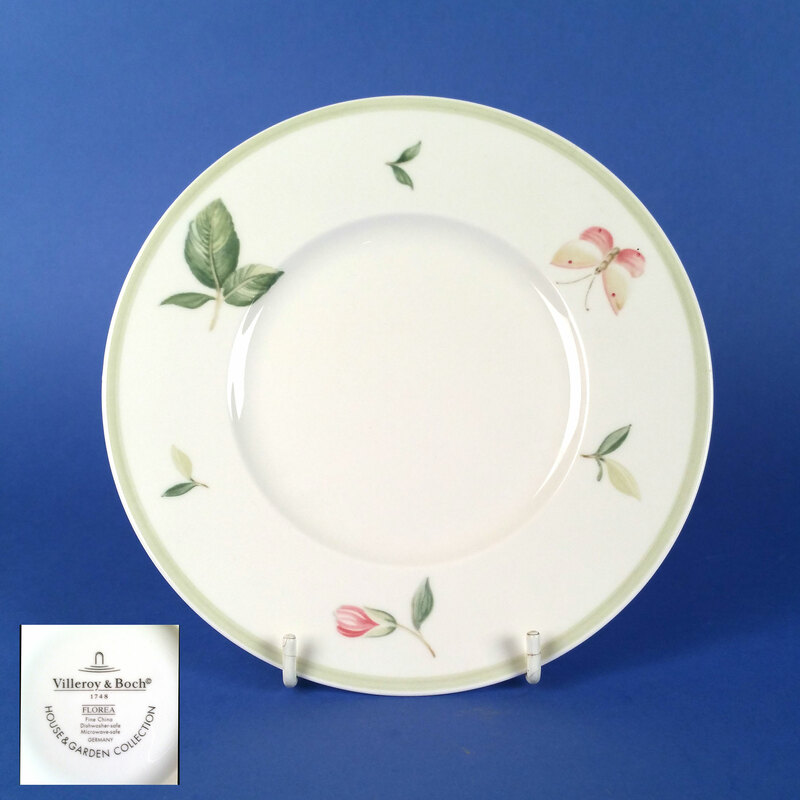 Produced from 2002 to 2008 this Fine China Bread & Butter Plate is from the Villeroy & Boch, Country Collection. This replacement Florea china is crafted from vitrified porcelain for strength and durability and is Dishwasher & Microwave safe.